Keep your favorite pens neatly contained with this PVC case featuring a simple, squeeze-top opening. Easy to throw in a purse or backpack, it’ll save you from rummaging for something to write with. 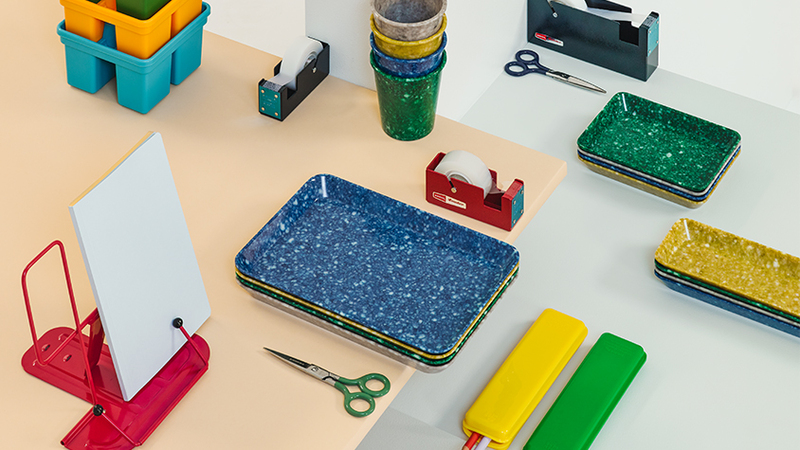 Made by Penco for Hightide, a line of Japanese-designed desk accessories that are as fun as they are useful. Hightide works with traditional craftsmen and sources specific materials to produce a wide variety of designs that allow you to customize your desk. They’re available in a range of colors to suit your moods: yellow, black and green. Holds up to six pens.